There are SO many different ways to work your core! 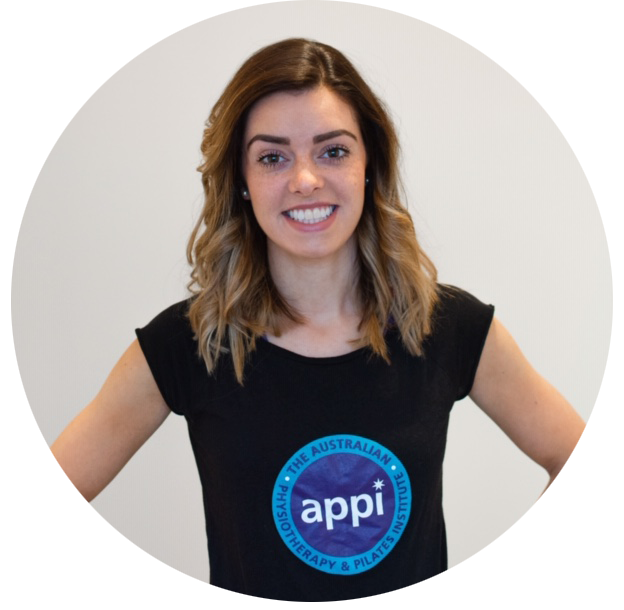 As the fitness industry has grown exponentially in recent years, there is now so much choice, opinion, and advice! This also leads to so many mistakes being made. Perform your core exercises with precise technique and correct muscle activation! Ensure the exercise meets your demands rather than just picking any old core exercise. “One size does not fit all”. Pilates is the perfect way to optimise perfect core execution! 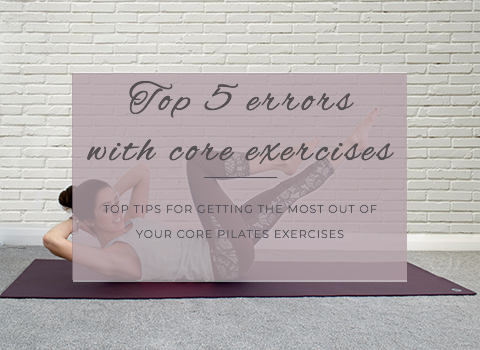 Pilates focuses on perfect technique to avoid ALL of these errors and provide the best core activation. This was meant to be a “Top 5” post but I gotta carried away and have shared a few more tips for you! Traditional core classes teach flattening your lower back to the mat to perform the exercise. This is not your back’s natural position as we have curves in our spine for a reason, therefore exercising them flattened does not optimise the muscles when we stand up and the curves are present. Research has also shown that your core muscles work the best when in your neutral spinal position e.g. when maintaining the natural curve in your back and having a small “grape sized” space between your spine and the mat/floor (Sapsford et al. 2009). There seems to be a misconception of “no pain no gain” around exercising and therefore some people often rush in to the highest level of exercise just to feel the burn and hope for the best results. This actually has the opposite effect. If you cannot activate the correct muscles and maintain optimal technique and position, then you are unlikely to achieve results and more likely to compensate by using different muscle groups from those you wish to exercise. These two concepts are so essential! All of our exercises should begin with engaging your core and lifting pelvic floor. This provides support and stability to your “powerhouse”. Ensuring this stability means your trunk is fully supported, reducing risk of injury, and providing extra support so that your exercise may be performed more efficiently. Sit ups and “crunches” have traditionally been performed with the aim to commence lying down and then “sit up” fully. To do this momentum is often used and the upper body is forced upwards through the elbows/arms and chest. This does not recruit the core muscles correctly because the driving force is from the upper body, not the core. The back often flattens to the ground during this type of exercise too (see No. 1 again for why this is wrong). Core exercises should be performed with correct muscle activation, precision, and control. Speed should be specific and not induced by momentum. The pelvis is the key component to how successful you perform these exercises. The pelvis should be stabilised in neutral for optimum core muscle recruitment (see No. 1) for more details. Keeping the pelvis stable also eliminates momentum and excessive movement from elsewhere (see No. 4). Breathing is a complex component of exercising! There are many different ways to use it depending on the aim, however you should never hold your breath when exercising! The oxygen should flow freely and to enhance your exercise you should exhale on the action part. Eg “inhale to prepare whilst staying still, exhale as you perform the exercise”. Exhaling on the harder part recruits the core muscles more and therefore makes your efforts more effective. For more details on pilates breathing check out this post. If you were to twist enough to bring your elbow to your knee you break the rules here of No. 1,4 & 5! Whilst this does feel like a workout and definitely targets the core and oblique muscles, it uses momentum, flattens the back to the floor, and destabilises the pelvis! To target your obliques you can perform a similar exercise but encourage the armpit to reach for the opposite hip, whilst thinking of drawing the ribcage downwards. You won’t lift nearly as high but it will be much more effective in isolating these muscles! The most well known core exercises include front planks, crunches, and elbow to knee/bicyles. These exercises all focus on moving in or being in one direction or plane. Our bodies move in many directions throughout the day and should be stimulated from every angle to get a 3D strengthening effect. This is why pilates programmes have you perform exercises on your back, front, and sides. Exercises involve directly targeting the core, as well as moving the arms away, or the legs in different directions. Each aspect here challenges the core in a separate way and provides an on-going challenge!